In 2014, Jordan held auditions for Canberra REP’s production of Steel Magnolias, and was overwhelmed by the number of talented women who auditioned. She could have cast the show three times over. This made Jordan think ‘Why aren’t we making the most of the incredible wealth of female talent that’s available in this town?’ This was the spark that spawned Pigeonhole Theatre. Sick of fighting for a limited number roles in plays with male-heavy casts, and where male protagonists drive the action, Jordan, Karen and Liz decided to do something about it. Together they started Pigeonhole with a commitment to provide great opportunities for women on, and off, the stage. Pigeonhole Theatre’s first production, Playhouse Creatures by April de Angelis, was a triumph. Praised by audiences and critics alike, Pigeonhole’s inaugural production won the company a Canberra Critics Circle Award for excellence and creativity, and CAT Awards for Best Ensemble, Best Director and Best Production. Following on from this success, Playhouse Creatures has been selected to performance at the 16th Mondial du Théâtre, the World Festival of Theatre, in Monaco, August 2017. Pigeonhole acknowledges the unwavering support and commitment of Stephen Pike, Program Manager, The Queanbeyan Performing Arts Centre, and the Queanbeyan Palerang Regional Council, which has been essential in making the dream a reality. Pigeonhole also acknowledges the support of the ACT Government, with Playhouse Creatures generously supported through artsACT. 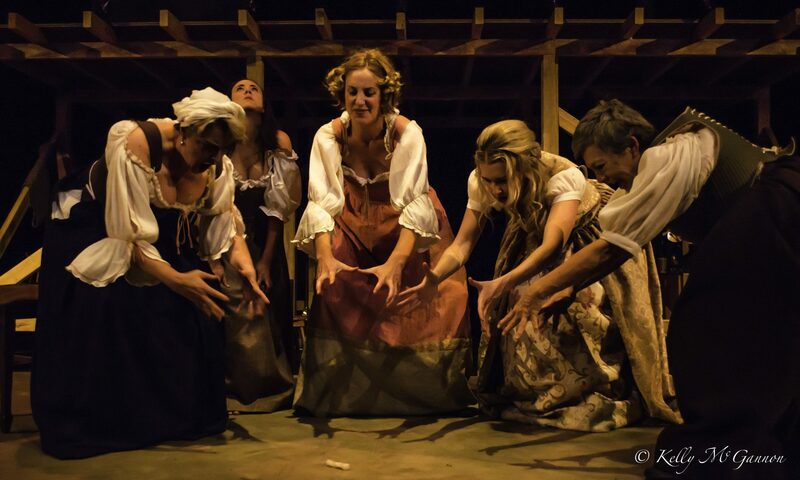 “For its debut production, Canberra’s newly formed Pigeonhole Theatre has scored a stunning triumph with April De Angelis’ Playhouse Creatures.